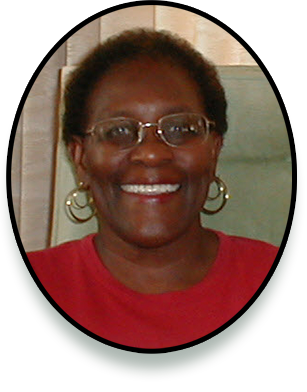 ELP Books proudly presents Emma Price, retired National Board Certified Teacher-Peer Assistance and Review Program Consulting Teacher from the Los Angeles Unified School District, and her works of literature that are culturally responsive and relevant. Price has penned two children’s books for ages 8 – 16, Another Girl Calls My Dad Daddy and Portia’s Incredible Journey. 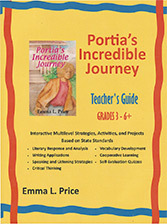 She also created an interactive multilevel strategy, activities, and projects-centered Teacher’s Guide for Portia’s Incredible Journey based on Common Core State Standards. In Price’s novels, students will be able to identify and learn from the characters as they face constant challenges that young people encounter in real life. –Saraolivia T., 11 years old, 6th grade, Monroe Math/Science Magnet, Inglewood, CA. Now available in print and eBook editions! ELP Books is also the proud distributor of Veronica Lane Books. Author Emma L. Price enjoys visiting schools and libraries in the Los Angeles and South Bay areas. Contact me to schedule a visit or to send questions or comments.